Click here for the full 2019 brochure with details of each session! Who is the Agricultural Marketing and Management Organization (AMMO)? AMMO is a program of the Washington Association of Wheat Growers. Our goal is to help you increase your profitability by making better farm management decisions. Producers told us the types of farm management training programs they needed. They shared what they wanted to see for program content and how they wanted to receive it. We listened. 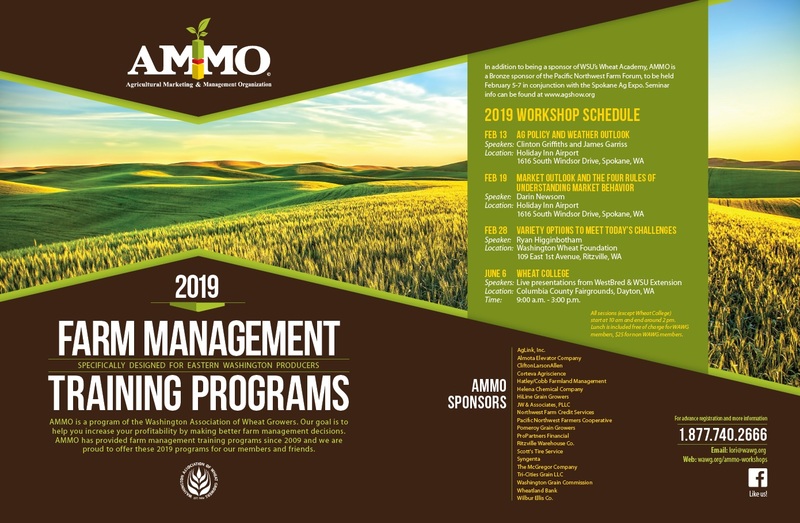 The AMMO group is proud to offer Farm Management Training Programs for our members and friends throughout Washington state.